This entry was posted in Bible study, Christianity, Ten Commandments and tagged Bible, Biblical illiteracy, Deu. 6, Exodus 20, family, kids, Religion and Spirituality, teaching children, Ten Commandments. “Bow down to neither wood nor stone” is seriously anachronistic and pretty meaningless to adults and children alike today. and read magazines about the lives of celebrities rather than the stories of serving God. No doubt there are other and better examples, but this will do as a start. Yes, the phrase will be meaningless to those unfamiliar with the Bible. And we do need to do more than memorize…we need to explain. You might be surprised to know how many Americans do not even know who celebrities are. In the doctor’s office yesterday, while waiting in a treatment room, there was one magazine – first, I realized I didn’t know who the people in the magazine were – second, I saw a perfume ad with the model making the hand sign for Satan – I put the magazine back on the counter and prayed for our nation and the Christians in it who are being deceived on every front. I also don’t watch award shows because I realized years ago that I was not keeping up with who the celebrities are, and had no desire to know it. There are many like me who worship only our Lord and Savior, Jesus Christ. Funny, as I sit here writing, I’m looking at the Ten Commandments my wife has handwritten in red ink taped to our refrigerator… It’s been there on and off for four or five years… Even I finally memorized them! Obviously, this is just a starting point, one easy way for children to learn. Go on to other familiar Scriptures like the 23rd Psalm and the Beatitudes; favorite verses; and build on these. Parents are told to “diligently teach” their children (Deu. 6). Unlike yesteryear a la Trueblood’s quote, above, the Ten Commandment are no longer an integral part of children’s lives nor of our culture. If we truly seek to be salt and light in our world, we have much work to do. Find a place to start. Share this poem with others and point them forward. “Nowadays there is a novel idea afoot! According to the promoters of this idea, the Law (that is, the 10 Commandments) should be completely removed from the Church. This is nothing else but deplorable and irreverent. That’s a nice modernization of the ten commandments to keep it relevant! As for the commenter that suggested wood and stone to seem meaningless – I would say not so much if a comparison is drawn to plastic (in reference to money) and silicon (in reference to technology). I like what you wrote in short summary yet understandable and rhythmic. Great for children to memorise them like learning maths at a young age. About the graven images, there are more to that than bowing to stones – https://stepintoeternity.wordpress.com/2014/04/26/the-ten-commandments/. I have also written in details of all commandments’ commentary. Yes, more to it. I point out the need to go on the the text of Scripture. The poem is a starting point. Thanks for reading. 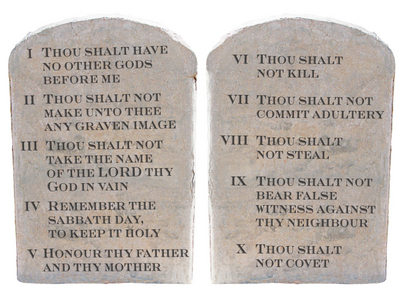 It really is a shame how few Christians can even name the Ten Commandments in these times. This piece was cogent, weetlwri-tln, and pithy. Thanks for posting this. 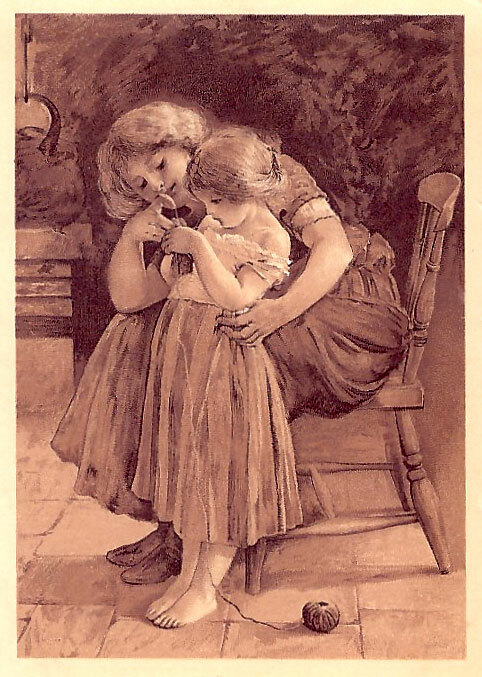 As a grandmother, I love little treasures like this for 3 little precious souls very dear to my heart. If ever there were a time when they will need these beginning Christian foundations in a form they can begin to relate to, it is now. Blessings to you. Excellent rhyme to teach kids the 10 essentials for a successful life. Can someone tell me who wrote the “Ten Commandments in Verse”. My Dad knew them as he went to the Greenfield Institute that used the McGuffy Readers which had that poem in it. I wanted to have it written in calligraphy for my siblings but wanted to credit the author. Thank you.